This passage from “The 4-Hour Workweek” is one of the most motivating I have come across in current lifestyle lit. Boring Job – Will I be stuck in a mind-numbing job? A close friend of mine just graduated from law school last weekend. We had some downtime after the commencement ceremony and were talking about what motivated our generation relative to what motivated that of our parents. We decided (perhaps unfairly) that whereas our parents’ generation had money as their main motivator when it came to professional life, our motivators were more lifestyle driven. For example, if you wanted to recruit our parents’ generation when they were young professionals you could lock them in by promising to double their income. That, while still attractive, would not go as far with our generation which would likely prefer a 50% increase in income, two weeks of additional paid vacation and the option to work from home. More importantly, Gen Y professionals crave meaning in their work lives. THAT is why the bald, fat man in the red BMW scares the crap out of us. We don’t want to be corporate automatons. Ridiculous Mortgage – As the options of mobile living and worldwide travel/work become more and more of a reality today, home ownership (with the recent memory of home values plummeting insanely) is less and less of a draw. Why tie yourself down to one location? Why sign yourself up for the golden handcuffs of an awful (yet well-paid) job just to pay the mortgage for a house that you have long-since come to resent despite its square footage? Estranged Spouse and Kids – If there were ever a thing that the boomers proved conclusively, it is the fact that their obsession with work and materialism ruined families. Time away from home skewed priorities and the Western epidemic of workaholism has added up to a lifestyle where relationships that should matter, don’t. The result is the most dysfunctional set of family dynamics on record. Overworked – Allow me to continue on the subject of workaholism. An entrepreneur friend of mine with a lot of physician friends says that he hears the same thing over and over: “How do I get out of the rat race? I want out!” These doctors, while well paid, fully realize that if they stop working their 12 hour days, shuttling patients in and out of their offices, the game is over, no moolah. So they are trapped. And they hate it. 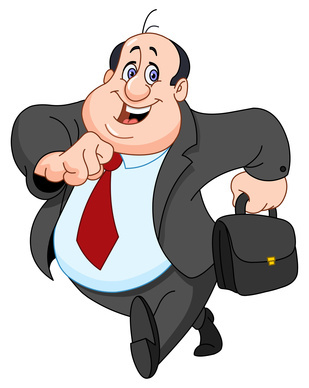 Obese – When you take on boomer work values you also take on their tendency to be obese. Part of what’s so scary about the guy in the red BMW is that, despite his status symbol, he is a chunkster. Nobody is impressed. And worse yet, the rat race is only going to make it worse. The downward spiral of horrible lifestyle decisions, fueled by comfort food, late hours, terrible relationship and anti-depressants is a heart attack waiting to happen. We need something new. We each have an opportunity to define this “new” lifestyle. My goals behind CultureMutt are to help contribute to this conversation about a healthier, more compassionate, more exciting, more globally-minded lifestyle. We need to get intentional about savvy, global do-gooding. What is the cost of a little experimentation when the “norm” is the rat race and nobody healthy enjoys it? Stay tuned, the next couple posts will be about Lifestyle Design. Bjorn – Looking forward to learning more about lifestyle design. I’m definitely on the same boat as you in trying to find meaning in my work. That is probably more important to me than anything else. Even more than time and mobility actually. I’ve given up a couple jobs where I had the potential of becoming a supervisor or make a lot of money to continue what I was passionate about doing. Dude, what do you do for a living? What are you doing in social justice? Dude! I’m a gen Xer and have and always had the same issue. To find meaning in what I do. Not sure I have it yet. Currently in a job I’ve been at for 14 years – but change of site roughly every 2-4. Maybe it’s a human state. And maybe some Xers and Baby Boomers are just caught in a bad place by their desire to have stuff?? I think there is nothing wrong with earning more money as long as you are doing what you love for a living. When you have more money you have the power to change lives, support causes that you would have never been able to support if you lacked the money. I think money becomes useless if you are not sharing it with other people. I think someone who is fortunate enough to find meaning in their job is the richest man in the world, but if he also makes a lot of money doing it, this is happiness. Thanks for the input! And I am certainly not against making more money:) I DO believe that money can be a force for good. I am critiquing the blind pursuit of it that the boomers exhibited..